Cleaning the windows is a chore, especially if you live in a house with a lot of them and even more if your home has large mirror-like windows. There are many ways you can do this; you can hire a service, you can do it yourself, or you can opt out of doing it entirely and just procrastinate. But trust us when we say that you’ll be saving yourself a lot of grief if you just do the job. Here’s what you need to know about window cleaning. As much as possible, avoid cleaning your windows on hot days as it would make the water dry faster and leave hard-to-remove streaks on your windows. We at Seamless Exterior recommend that you do your window washing on cloudy days to avoid this. Believe it or not, pre-packaged bottled cleansers for windows can potentially cause more damage than good. Instead, try mixing warm water with a small amount of dish soap for streak-free cleaning. 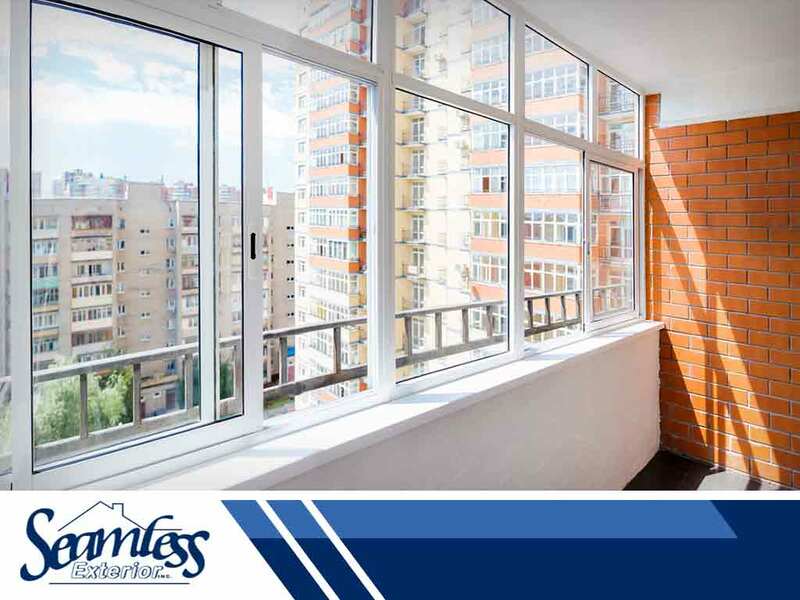 For grimy windows, try adding vinegar or ammonia to the water and dish soap solution. Sometimes, your home might just have some windows that are hard to clean, or, maybe, you just have too many windows. If you find yourself pressed for time and unable to clean your windows, try contacting your local windows contractor to do the job for you. So, you have decided to hire a window cleaning crew. It’s in your best interests to research them thoroughly to make sure they’re insured and have good reviews. This winter, turn to Seamless Exterior for your home improvement needs. We are your leading provider of replacement windows and siding services. Give us a call at (319) 243-3600, or fill out our contact form to get a free quote. We serve clients in Waterloo, IA, and other nearby areas. Vinyl vs. Aluminum: Which Is the Better Siding Material?